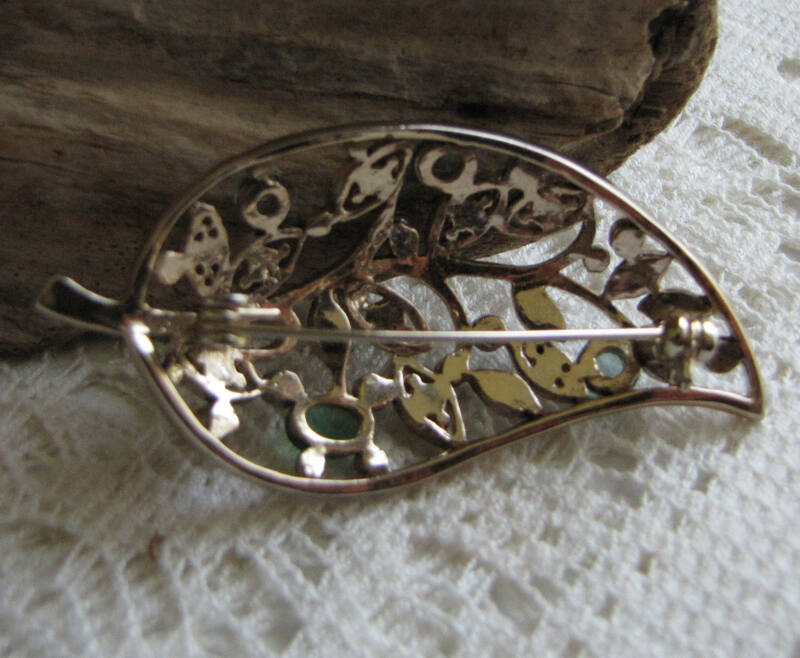 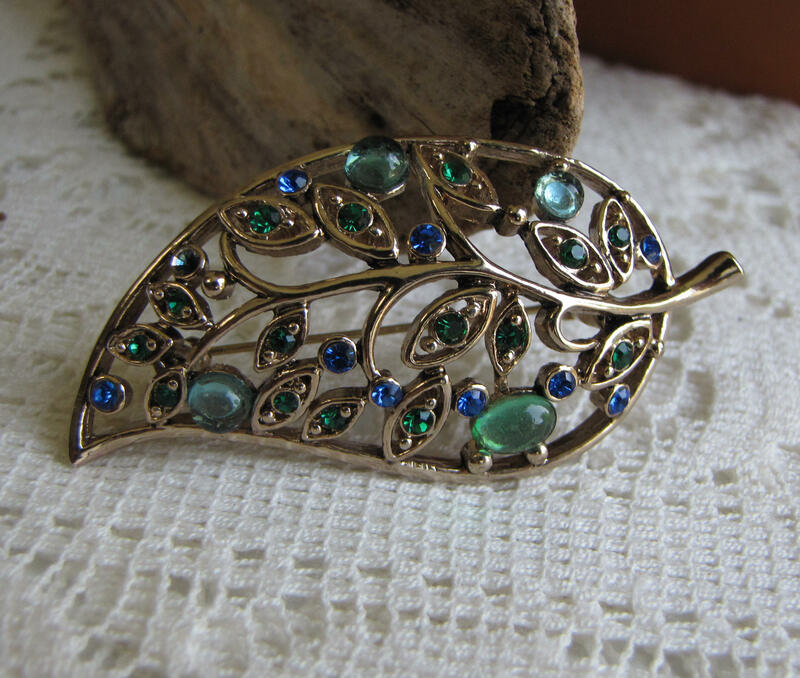 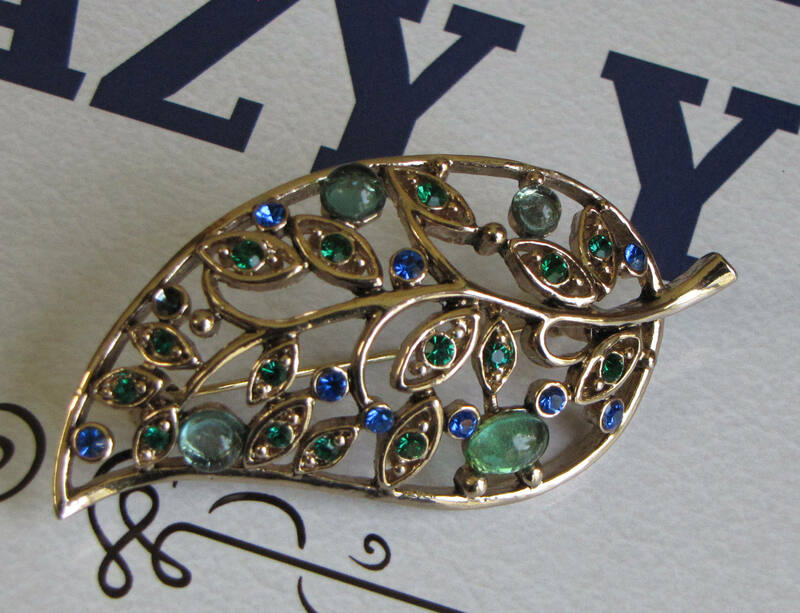 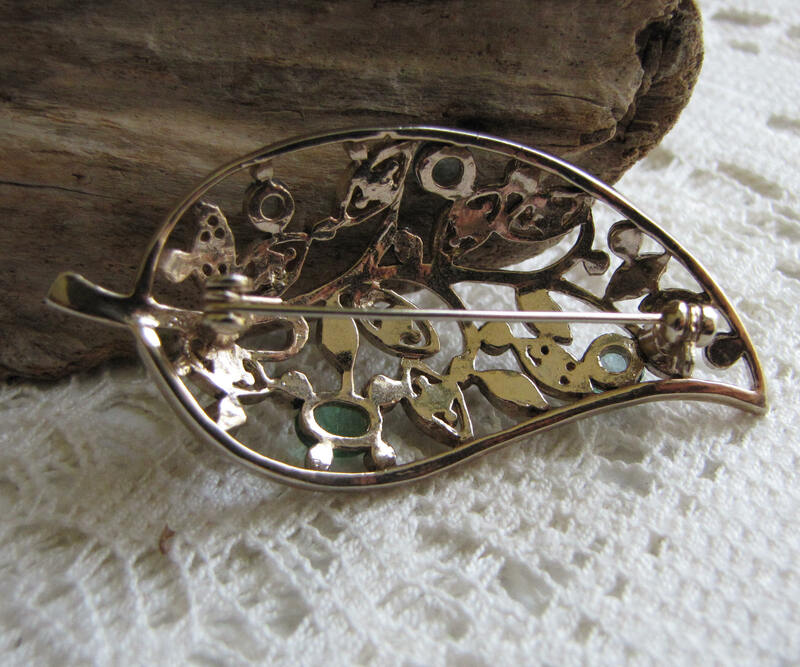 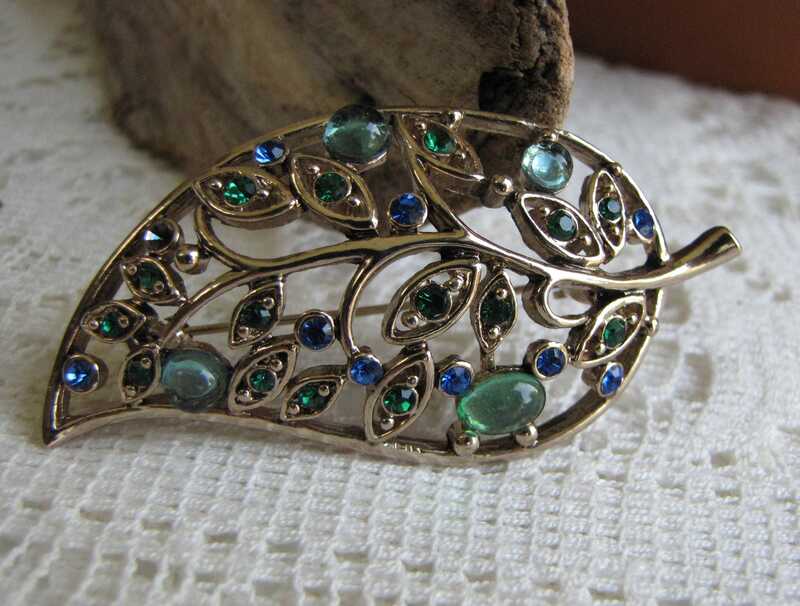 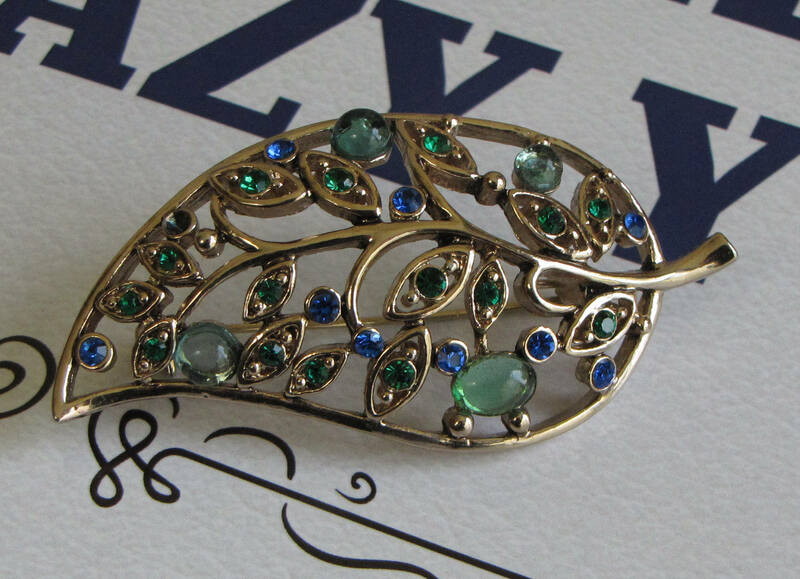 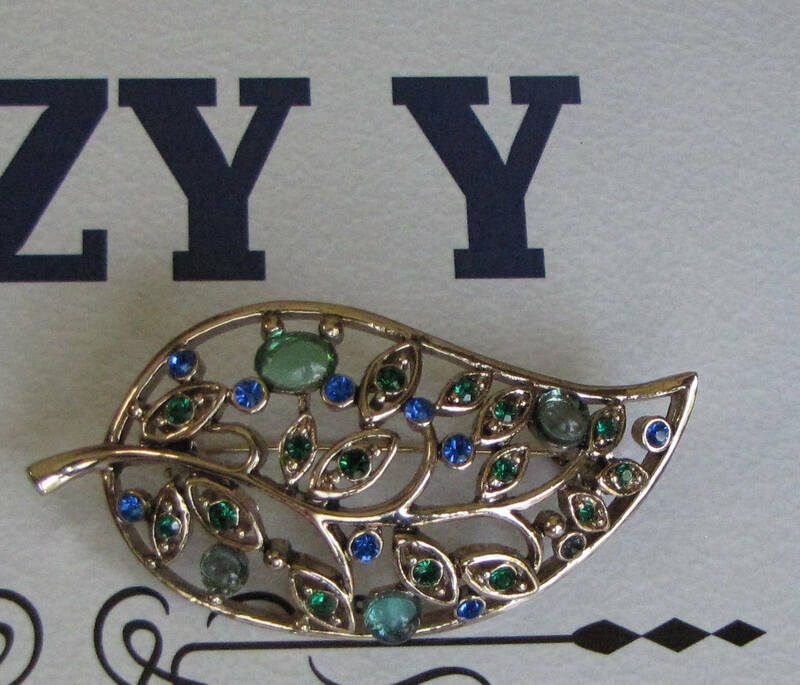 This is a lovely gold toned leaf brooch inset with blue and green stones. 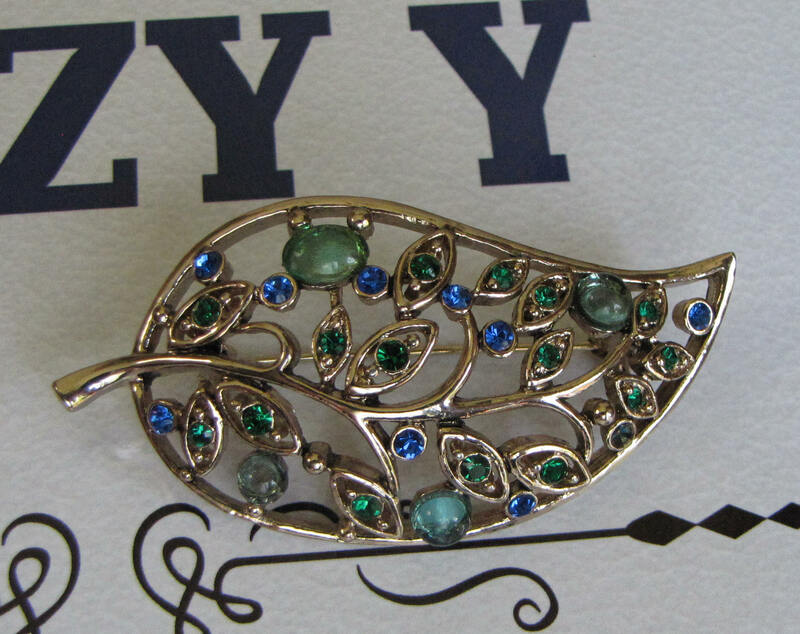 The brooch is in very good vintage condition. 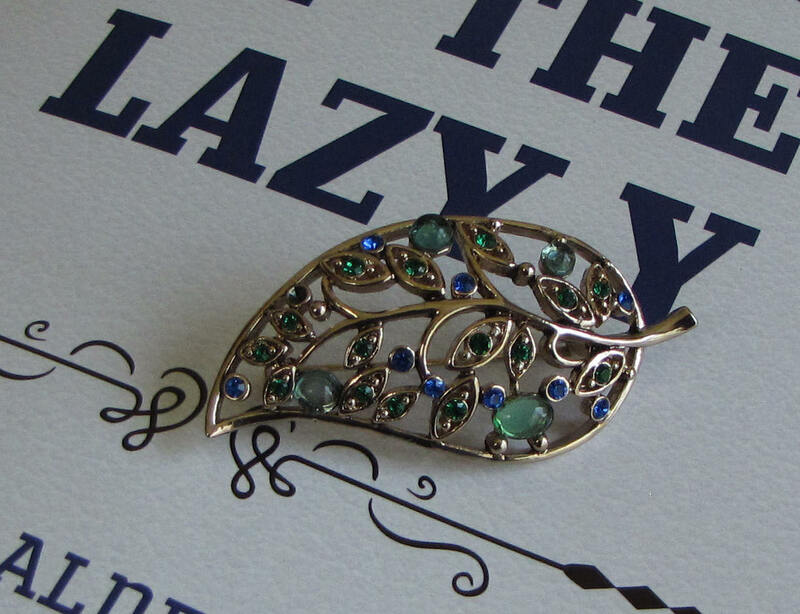 The clasp is in working order, although the “pin” is slightly bent. 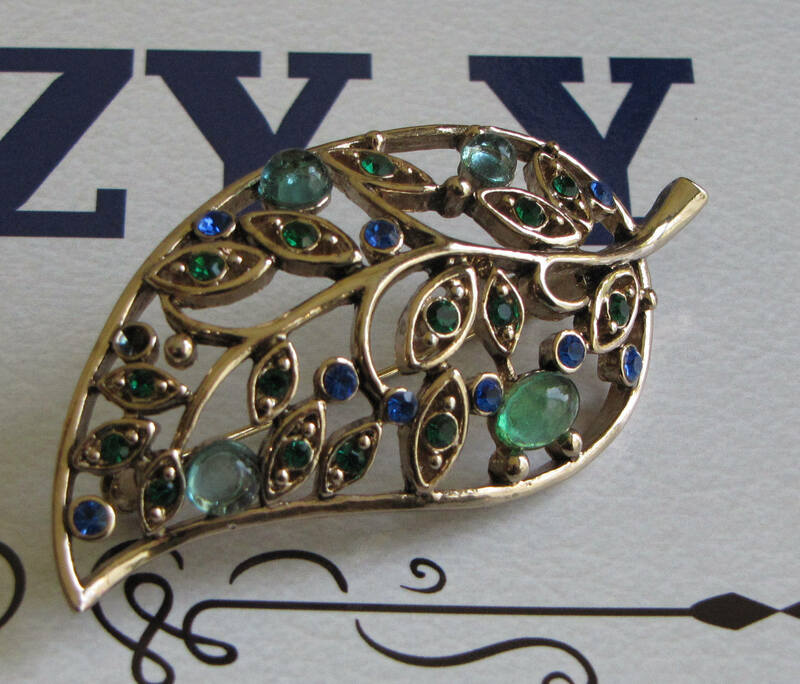 The pin measures 2.5 inches long and is about 1.25 inches wide.